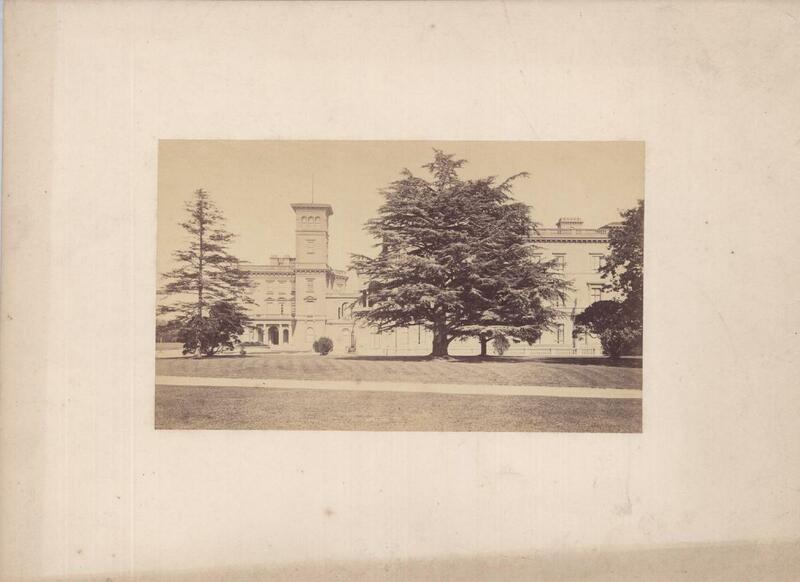 Mounted sepia photograph of Osbourne House. Photographed by Henry Taunt c1870. From a collection of views along the River Thames photographed by Henry Taunt. Henry Taunt was born in Oxford in 1842 and rose from poverty to establish himself as an extremely successful and skilled photographer. His work has created a unique photographic record of Victorian life.